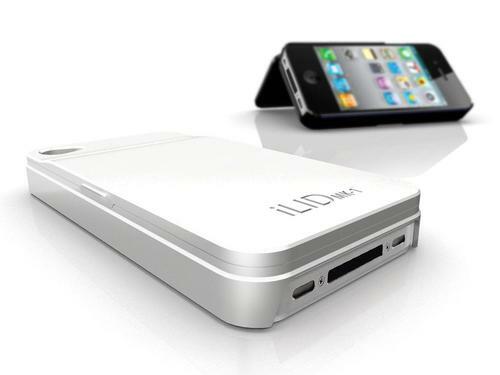 We have introduced several versatile iPhone 4 cases that can hold your credit cards. 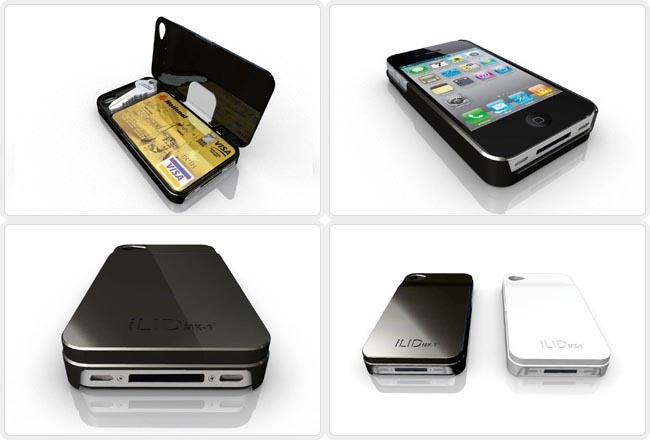 But if you still want more functions, iLIDmk-1 iPhone 4 case with wallet should be able to catch your eyes. iLIDmk-1 is a multi functional iPhone 4 case designed by two Australian young men Darren and Simon. The versatile protective case features lightweight, ultra-slim design, and just measures 17mm thin, weights 30g. In addition to protecting the iPhone 4 from scratches and shocks, the iPhone 4 case also features 2 thin profile polycarbonate shells that are joined together to create a hinged iPhone wallet, which can hold up to 3 credit cards. And the built-in money clip can securely keep your cash in place, while the top bay can be used to hold your key, an SD memory card or second SIM card. In addition, the iPhone wallet doubles as an iPhone 4 stand to hold your device in landscape viewing mode. And all the iPhone 4 buttons and functions are accessible via custom cutouts. At present, the two designers of iLIDmk-1 are raising fund on Kickstarter. Pledge $30 will let you own the versatile iPhone 4 case. If you’re interested, jump to Kickstarter for more details.